Our unique skills and experience allow us to diagnosis problematic existing skylights and offer turnkey solutions. 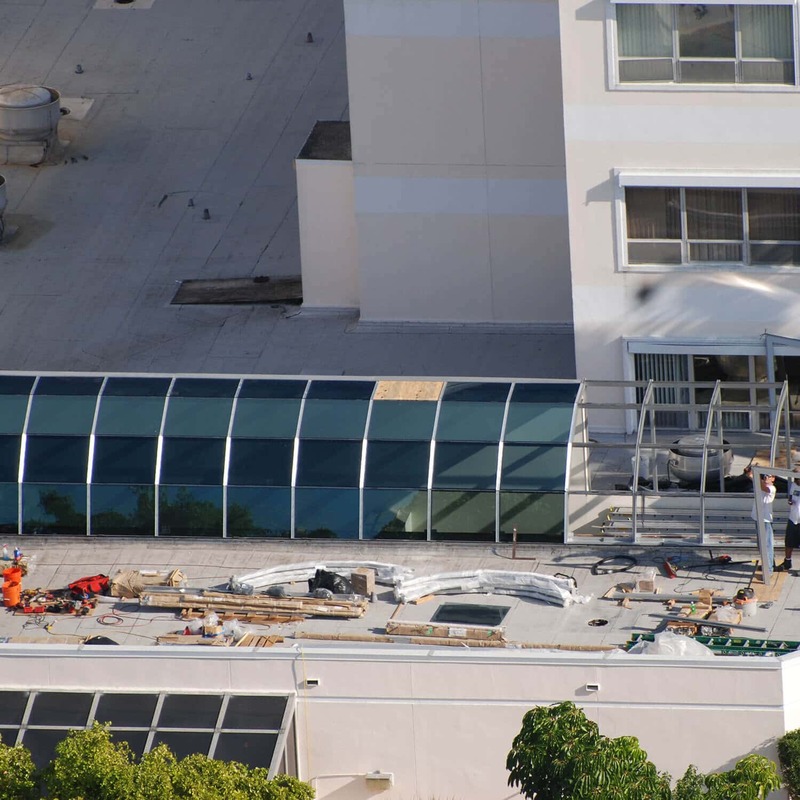 In the case of Bethesda Hospital this included the design and engineering of a new hurricane resistant segmented barrel vault skylight system with energy efficient glazing, high performance aluminum finish and a system that exceeds new stringent Florida building codes for impact ratings and wind pressures. The work had to be accomplished in an active area of the hospital that could not be shut down. Life safety and protection of adjacent areas was paramount. We removed the existing skylights and installed the new barrel vaults using methods that minimized the impact on staff and patients. The customer was very happy with the results and gave us the opportunity to replace additional phases of the overall campus.